being successful in your career. Throw in a few more cliches and it's easy to see why it can be so confusing! Life is to enjoy God. Judah writes in way that benefits new believers, lifelong followers of Jesus, and even the merely curious. He shows us the love of God that defies human logic and the life that God intends for us to have in the here and now. With excitement and humor, Judah looks at the stories in the Bible from his unique angle and shows how life is all about loving God and loving others. Now, I love reading books like this from pastors and fellow Christians because while I might think I have a pretty decent understanding about certain topics in the Bible, I've found it helpful to get a different point of view, especially from someone a little more knowledgeable on the topic. But do you ever read these types of books and find yourself thinking, 'Look, I'm sure you've got a great point, and you're probably even right on the topic, but honestly, I have no idea what I've just read. Pass me a dictionary. What does this mean?' You walk away feeling more confused than you were to begin with. It's not that these writers aren't brilliant, or even correct.. it's just that they're speaking above your level of comprehension on the topic. Surely, I'm not the only one, right? These types of books are great for the experienced, well studied pastors, but for me I need something a little more relatable. And I most definitely found this in Judah Smith. Now, perhaps you read the book description and thought it seemed like the question was already answered right there on the back of the book. Life is about loving God and others. Simple enough, do we really need a whole book on the topic? To put it simply, YES! Oh sure, it's easy enough to sum it up with one simple sentence but the book goes much deeper than that. 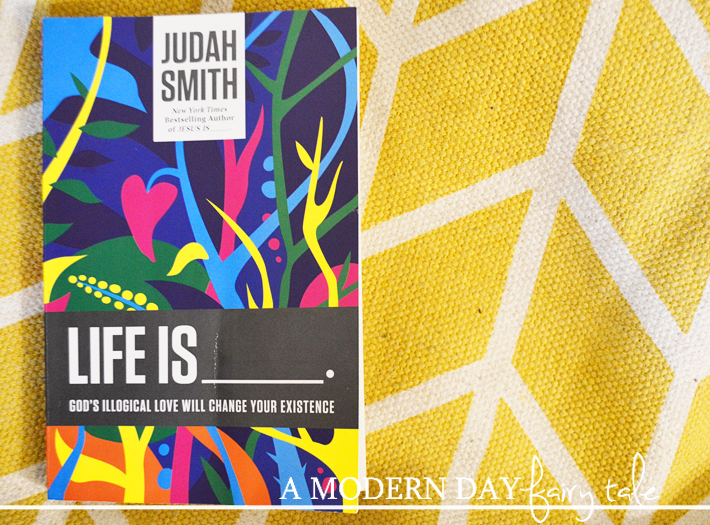 Judah shares real life instances of truly living the life that God wants us to- a life of loving him. He speaks not as a pastor who knows all the answers and does it right all the time, but as a human being who like all of us makes mistakes, wants to do things his own way and still finds himself in awe of the grace and love we have all been given. He uses scriptural references, intertwined effortlessly with every day examples that we can all relate to. He speaks as a friend, and truly helps to paint a picture of the life that God has intended in a way that we can all understand, regardless of our levels on knowledge of the Bible. If you are looking for just one book on the topic of life, this is certainly the one I would choose! You can purchase your own copy of Life Is ___ at Family Christian. 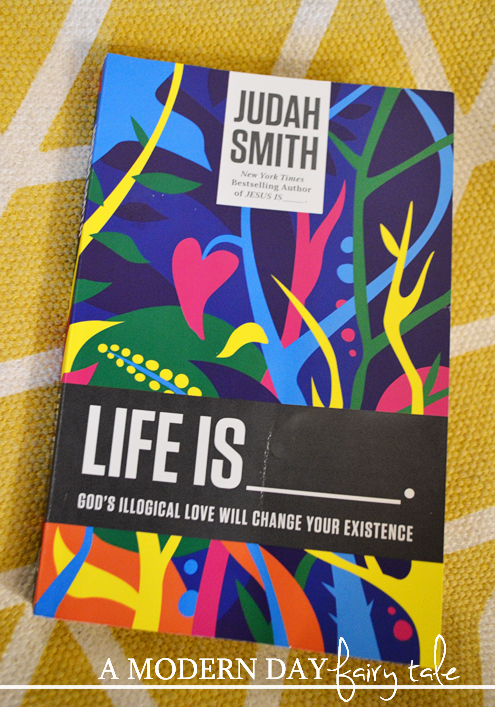 And while you're there be sure to check out Judah Smith's previous bestseller, Jesus Is ____ and a variety of study guides to go along with both! I'm really interested in some of their Biblical archaeology books.